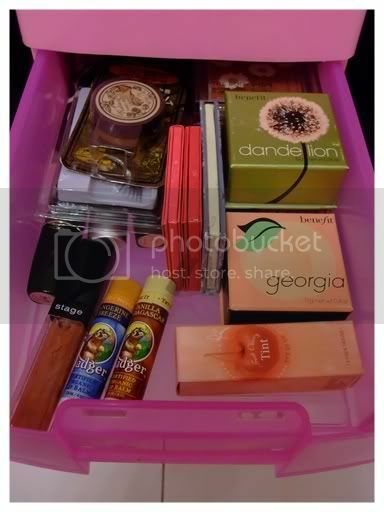 1st drawer contains lipsticks, blushes, eyeshadows and balms. 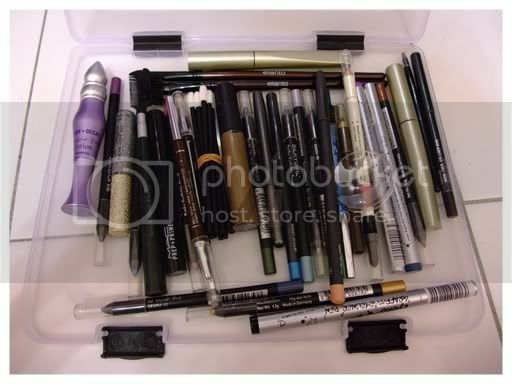 Thanks for sharing your makeup storage, I love how they are neatly piled!!! if i ever get a dry box to store my stuff, my hub will jump at me. LOL even all his lenses he is only keeping in a plastic container just with the thirsty hippo to do the job. You're so neat! 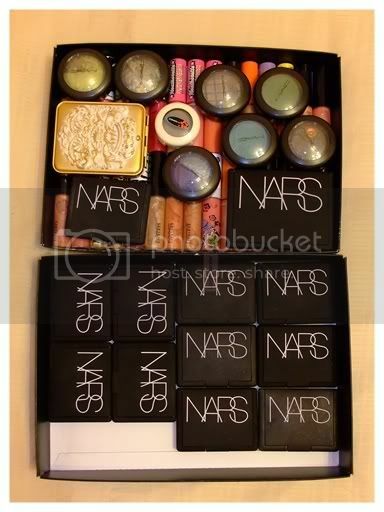 I don't like things to stack up, like your NARS blushes, but I think you can since you're so neat with stuff. What's a drybox for? To keep humidity levels low? Love how you store those mac boxes! Great idea! Your pink drawer is so cute! And I love how everything is so neat and organized! WOWWWWW! 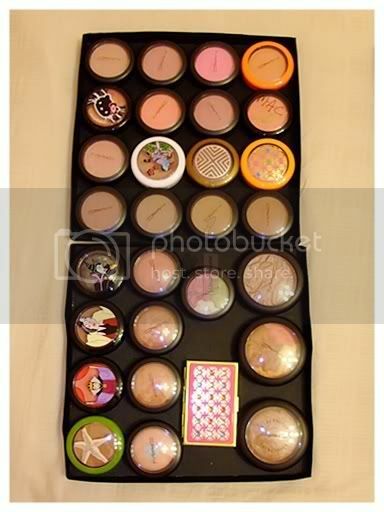 That's a lot of makeup!! Salute!!! I love your storage and collection. And damn! I wish I had thought to keep the boxes of all my MAC stuff (and receipts) when I started buying years ago. love the vast collection you have! Great organization :) My makeup's everywhere now... and my boxes are everywhere too... lol!! 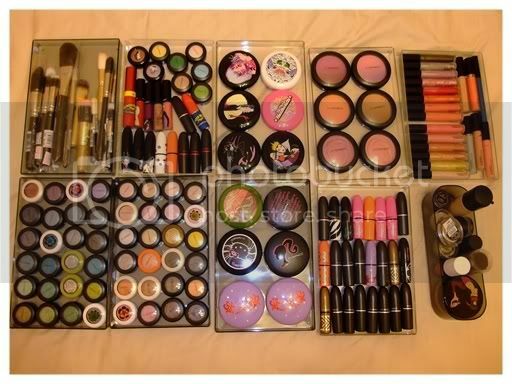 I am a crazy Shu & MAC Brushes and MakeUp collector. Inthe past threw quite a few lippies out. 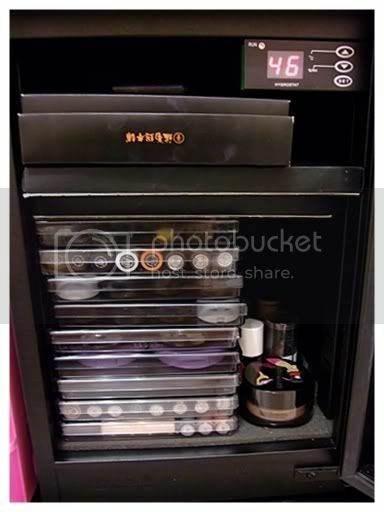 What is the optimal humidity for storing makeup brushes? If too dry, worried the wood handles may shrink, if too wet, might get molds. Now I am storing in ziplocks coz my condo is very humid. 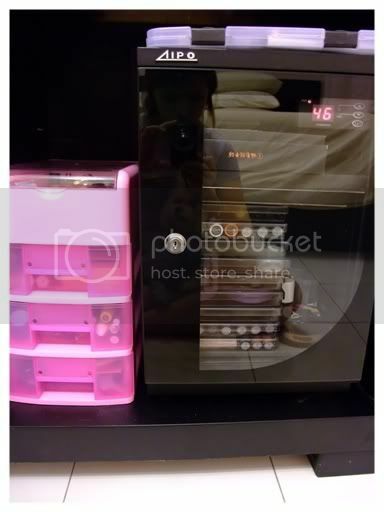 I am tempted to get the Aipo 155L DryBox. I noticed that yous is an Aipo as well, is the quality good? Bought and received the Aipo 155L at rm1388 and the setting is at 40%. 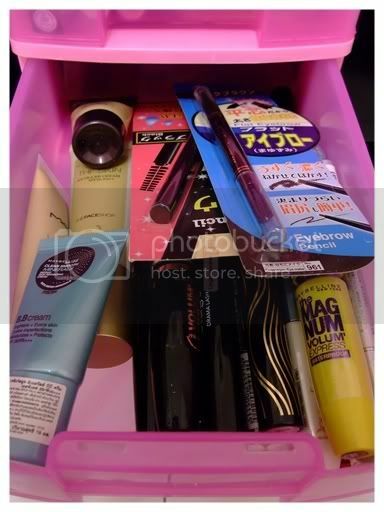 Do you keep your lipsticks in your drybox?